Discrimination and Access to Dental Care: What Can the Dental Profession Do? Canadians view equality and social solidarity as fundamental societal values when it comes to their health care system.1 Although most professionals uphold these values in their day-to-day practise, some may ignore or even scorn them at times. This article aims to raise awareness among oral health professionals about discrimination and explore how it might manifest within the dental profession. Our objectives in this article are to: 1) give examples, in reference to two social groups, of discriminatory practices that hinder access to dental care services; 2) explore how these practises may stem partly from dentists' lack of knowledge and/or prejudices; and 3) encourage the dental profession to mobilize in the fight against discrimination and the prejudices underpinning it. In addition to its potential negative impact on oral health, discrimination can have multiple harmful consequences for patients and dentists. It may undermine personal dignity, cause humiliation, or trigger feelings of being misunderstood, diminished or considered negatively. Discrimination may also contribute to "vicious cycles." Some studies have demonstrated that the fear of being stigmatized15 or anticipating that discrimination may occur16 can prevent some individuals from seeking the care they need. Finally, discrimination can also tarnish the image and reputation of the dental profession. Misunderstanding certain social groups contributes to sustained prejudice and negative stereotypes. For example, ignorance of the actual living conditions of those receiving social assistance perpetuates the belief that they are self-indulgent and lazy.18 For people living with HIV, misunderstanding how HIV is transmitted may feed an irrational fear in others of catching the disease. We call on the dental profession to mobilize and raise awareness about the prejudices associated with limited understanding of these social groups—which can lead to discriminatory practises. These topics must regularly be made the object of critical reflection and dialogue in the professional public arena. Efforts from academia, the research community, and professional and dental organizations to partner with groups at risk of discrimination can open such conversations. In fact, this article is the result of discussions between researchers at McGill University and University of Montreal and an AIDS/HIV human rights advocate—discussions that led to the identification of access to care barriers common to two social groups. Finally, we encourage private clinics to offer a discrimination-free environment. Practice policies and procedures, whether related to appointment scheduling or treatment planning and delivery, should be adopted with consideration and concern for a patient's fundamental human rights. Ms. Lacharpagne is a lawyer and the coordinator of the Droits de la personne et VIH/sida program at the Coalition des organismes communautaires québécois de lutte contre le sida, in Montreal, Quebec. Ms. Lévesque is a doctoral candidate in public health, faculty of medicine, University of Montreal and research assistant at the division of oral health and society, faculty of dentistry, McGill University. Dr. Bedos is an associate professor and head of the division of oral health and society, faculty of dentistry, McGill University, and adjunct professor in the department of preventative and social medicine, faculty of medicine, University of Montreal. Correspond to: Liz Lacharpagne, 1, rue Sherbrooke Est, Montreal (Quebec) H2X 3V8. Email: liz.lacharpagne@cocqsida.com. Commission des droits de la personne et des droits de la jeunesse. Discrimination. Available: http://www.cdpdj.qc.ca/en/droits-de-la-personne/pratiques/Pages/discrimination.aspx#. Commission des droits de la personne et des droits de la jeunesse. Rapport d'activités et de gestion 2011-2012. Mesurer la discrimination à l'embauche subie par les minorités racisées : résultats d'un « testing » mené dans le grand Montréal. p. 77.Direction de la recherche, de l'éducation-coopération et des communications de la CDPDJ. Montréal QC. Available: http://www.cdpdj.qc.ca/fr/publications/Pages/default.aspx. Front d'action populaire en réaménagement urbain. Mythe et réalité : Immigration et logement au Québec. Rapport. 2012. Montréal QC. Health Council of Canada. Empathy, dignity and respect: Creating cultural safety for Aboriginal people in urban health care. 2012. Toronto, ON. Pollock G, Newbold KB, Lafrenière G, Edge S. Discrimination in the Doctor's Office: Immigrants and Refugee Experiences Critical Social Work. 2012. Vol. 13(2): 60-79. Coalition des organismes communautaires québécois de lutte contre le sida. Vers un accès aux soins dentaires sans discrimination pour les personnes vivant avec le VIH : Rapport d'enquête.Rapport. 2012. US General Accounting Office. Report to Congressional Committees: Oral Health: efforts under way to improve children's access to dental services, but sustained attention needed to address ongoing concerns. November 2010. Washington, DC: Publication GAO-11-96;. Despres C. La Couverture maladie universelle, une légitimité contestée : analyse des attitudes de médecins et dentistes à l'égard de ses bénéficiaires. Pratiques et organisation des soins. 2010;41(1):33- 43. Bedos C, Loignon C, Landry A, Allison PJ, Richard L. How health professionals treat people on social assistance: A qualitative study among dentists in Montreal, Canada. BMC Health Services Research. 2013 Nov 5;13(1):464. Health Canada. 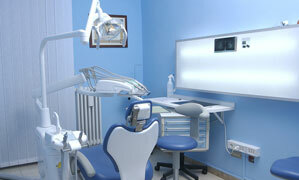 Report on the Findings of the Oral Health Component of the Canadian Health Measures Survey 2007-2009. 2010. Ministry of Health. Ottawa, Canada. Reznick DA. Oral Manifestations of HIV Disease. Perspective Oral Manifestations. 2005. Vol 13(5). Kinsler JJ, Wong MD, Sayles JN et al. The Effect of Perceived Stigma from a Health Care Provider on Access to Care Among a Low-Income HIV-Positive Population. Aids patient care and STD's. 2007. Vol 21(8). harbonneau A, Maheux B, Béland F. Do people with HIV/AIDS disclose their HIV-positivity to dentists? AIDS Care. 1991.Vol. 11 (1). Leake JL, Birch, S. Public policy and the market for dental services. Community Dentistry and Oral Epidemiology. 2008. Vol. 36: pp. 287-295. Déniger, MA. Le B.S. mythes et réalités, guide de conscientisation. Deuxième édition. 2012. Front commun des personnes assistées sociales du Québec et Conseil canadien de développement social. Montréal, QC. Pegon-Machat E, Tubert-Jeannin S, Loignon, C, Landry A, Bedos, C. Dentists' experiences with low-income patients benefiting from a public insurance program. European Journal of Oral Sciences. 2009. Vol. 117(4):398-406. Adrien A, Beaulieu M. Attitude de la population québécoise envers les personnes vivant avec le VIH. 2011. Direction de la santé publique, Agence de la santé et des services sociaux de Montréal. Montréal, QC. Laforest J. Survol de l'histoire du VIH par le Docteur Réjean Thomas. La voix Acadienne, Francopresse, 16 juillet 2010. Direction de la Santé Publique. Les inégalités sociales de santé à Montréal : Le chemin parcouru. 2011.Direction de la santé publique, Agence de la santé et des services sociaux de Montréal. Montréal, QC. Gouvernement du Québec. Charte des Droits et Libertés de la personne. Éditeur Officiel du Québec. 1975. Québec, QC. Gouvernement du Canada. Loi Constitutionnelle de 1982, ch. 11 (R.U. ), Annexe B, Partie I : Charte canadienne des droits et libertés. Ottawa, Canada. Taylor EW. Book Chapter. Fostering Transformative Learning. In J. Mezirow, E.W. Taylor and Associates, Trasformative Learning in Practice, Insights from Community, Workpland Higher Education. 2009. Jossey-Bass. San Francisco CA. Brondani MA, Patterson R. Teaching Lesbian, Gay, Bisexual, and Transgender Issues in Dental Education : A Multipurpose Method. Journal of Dental Education. 2011. Vol 75(10) :1354-1361. Lévesque MC, Dupere S, Loignon C, Levine A, Laurin I, Charbonneau A, et al. Bridging the poverty gap in dental education: How can people living in poverty help us? Journal of Dental Education. 2009;73: 1043-54.